A leading homeowner's insurance company undergoing considerable growth. All copies of policyholder correspondence were printed, manually coated, and then mailed to their 8,000 member independent agent community. Agents often failed to file and retain the policy documents coming to them and instead called the carrier to request additional copies which also had to be printed and mailed at an expense to the carrier. Multiple legacy systems and existing print capabilities did not make electronic delivery of documents to agents possible without considerable investment and system change. 100 percent paperless delivery of millions of documents to the insurer's agent community was archived. Re-delivery document requests are performed by the agent in the document archive, allowing the carrier to avoid the costs associated with processing requests and re-delivery of documents through the mail. Agents control their delivery preferences and determine how they will receive each document (options include being emailed a secure PDF, delivery to the archive only, delivery to the archive with email notification, and can CC specific CSRs in their office). Agents have access to 100% of their customers documents in a secure, searchable online archive. Agents can also redeliver documents to their customers from the self-service archive. These capabilities were deployed without requiring changes to their existing core systems, or internal IT or print vendors having to undergo a complex implementation project. 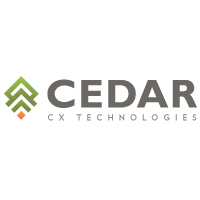 CEDAR, as a service provider, handled the needed project management and IT work. CEDAR's electronic delivery and archive capabilities also are applicable and deployable to consumers.